Seoulites suffering from “cabin fever” after spending weeks indoors with their air conditioners on full blast might find some relief at Olympic Park 88 Grass Yard, where “Disney in Concert” and soprano Jo Su-mi’s concert “One Night in Paris” are scheduled to run Sept. 8 and Sept. 9, respectively. Jo and the Ditto Orchestra, conducted by Lorenzo Passerini, will perform a variety of songs thematically tied to Paris, ranging from opera arias to genre-crossing pieces, chosen to appeal to opera buffs and the uninitiated alike. After the intermission, Jo will continue with an eclectic array of music, starting with Riccardo Cocciante’s ”Le temps des cathedrales.” She will also perform “Non, je ne regrette rien,” a 1956 piece by Charles Dumont that went on to become a hit for Edith Piaf in 1960. Tenor Jean-Christophe Born and accordionist Alexander Sheykin will join Jo on stage, as will Super Junior’s Ryeowook. Jo’s concert is also scheduled to run at the Seoul Arts Center Concert Hall on Sept 5, the Sori Arts Center in North Jeolla Province on Sept. 7, and the Daejeon Arts Center on Sept. 8. ”Disney in Concert,“ which has been performed in Korea every year since 2014, will take place a day ahead of the diva‘s concert at each location. 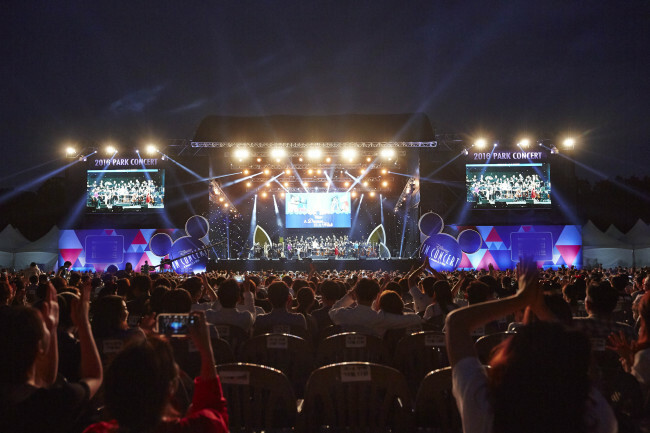 During the family-oriented concert, the KBS Symphony Orchestra and the Disney Concert Singers will perform popular tunes from Disney animations. The singers include Lisa Livesay, Aaron Philips, Whitney Claire Kaufman and Andrew Johnson. This year‘s concert will include songs from Disney’s 2017 hit ”Coco“ alongside music from ”Frozen,” “The Lion King,” “Beauty and the Beast,” “The Little Mermaid,” ”Aladdin“ and others. Screen footage from Disney’s best-known animated films will accompany the performance.